I have been searching for a long time but I am struggling to find the origin for these parts. I think they are possibly Power Functions IR remotes & battery packs...? The Battery Boxes on the left are 5115 or 9831 (most likely the former) from the 9V system (immediate predecessor of Power Functions). These don't come from sets but were items that were available for purchase on their own. 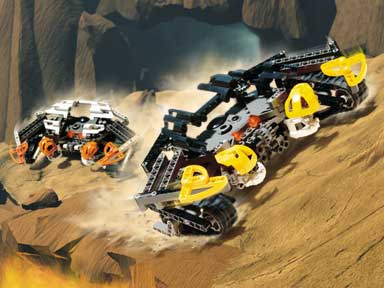 The middle unit is 23323c01 Electric, Bionicle Motor Remote Control Receiver Unit, Complete Assembly (Manas) from set 8539 Manas from the Bionicle theme from 2001. Finally, the two remote controllers on the right are item 23335c01 also from 8539 Manas.